I've had about a week to play with Google+, and I considered making this post about my impressions and how it might be best used for your nonprofit. But then I realized I have nothing to say that hasn't been eloquently said already. 1. Are you focused on the people, rather than the platforms? Though it's wise to stay on top of current trends and new platforms (I recommend following Mashable), social media is about people, not technology. Are most of your posts blasting information about your organization, or are you sharing other people's content and responding to their questions, joining conversations and offering help? 2. Are you listening (a lot) more than you're talking? 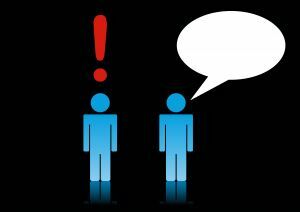 Do you have keywords set up to listen to the conversations around your organization's issues? Do you check them regularly? ("Sparks" on Google+ have good potential in this area, BTW.) Do you answer every question people post on your Facebook wall? 3. Are you being transparent and acknowledging mistakes? See how the Red Cross handled their #GettngSlizzerd incident for a perfect example of how to handle a mistake. 4. Are you learning from those mistakes, and tracking your successes as well? Are you using a tool that will help you analyze which specific posts are working and which aren't? Are you noting the days you lose a significant number of followers and friends (hopefully not many) and changing your tactics to prevent that from happening again? 5. Do you have buy-in and involvement from various departments of your organization? If you're unsure how to do this, start by setting up a brown bag lunch to educate folks on your social media strategy, then monthly meetings with a representative from each department to make sure they're in the loop, and you're listening to their interests. 6. Is your social media strategy integrated with and accountable to broader goals of the organization? Can you point to a part of your organization's mission that your social media efforts support (and proving that they do, indeed, support them)? 7. Are you taking calculated risks? Trying new things is critical to staying ahead of the curve, though this should always be done with an eye toward your broader strategy. What's your #1 tip for effective social media strategizing?